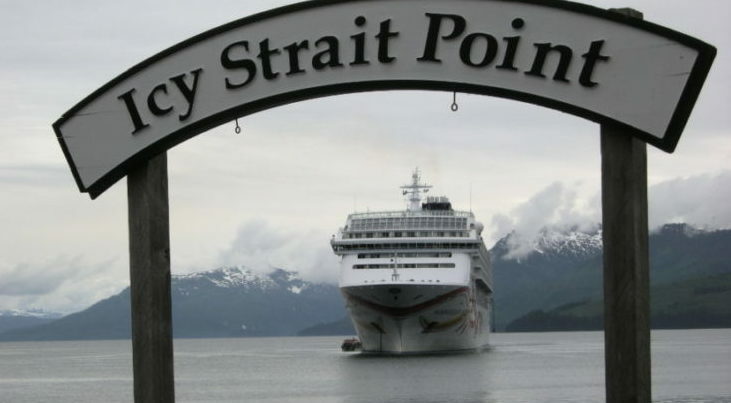 Icy Strait Point gets a spot on several Alaska cruise itineraries and although a smaller port, it is a mighty one. Each time that I return, I try something new. I have done the zipline, hiked in the forest and enjoyed the museum. This time, I enjoyed everything new at the port. We arrived late at night rather than the next morning as expected. Darkness made it difficult to get my bearings. The following morning, fog lingered creating an ethereal scene from a fantasy novel. One reason for my inability to get my bearings was that the port had been reconfigured and improved since my previous visit. 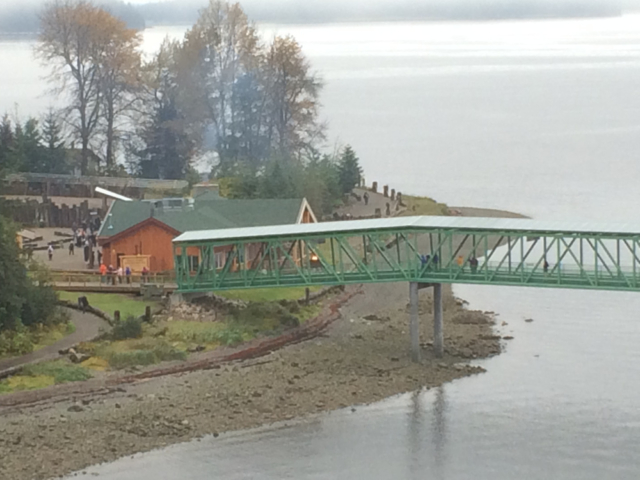 Rather than tendering to the pier, I walked down the new, floating, 400 ft. long pier to the brand new visitor center. The pier was built so that guests had water views in all directions. What I found distressing on my visit was that some passengers saw this pier from their stateroom windows or balconies and obviously didn’t spend enough time looking at the pier. Yes, it is long. What I later discovered was that some people said that they couldn’t make the long walk, so they stayed on the ship. I wish that they had known that there are trams that will meet them after they exit the ship and take them right to the welcome center. 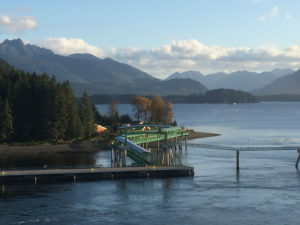 The new pier is farther down the island from the original tender pier. Ships are still able to tender here at ISP. It’s a lovely and very friendly port. Guests need not do the zipline, the longest in the world. I did it several visits ago and wore my Go Pro to get this video. Don’t mind the screaming. 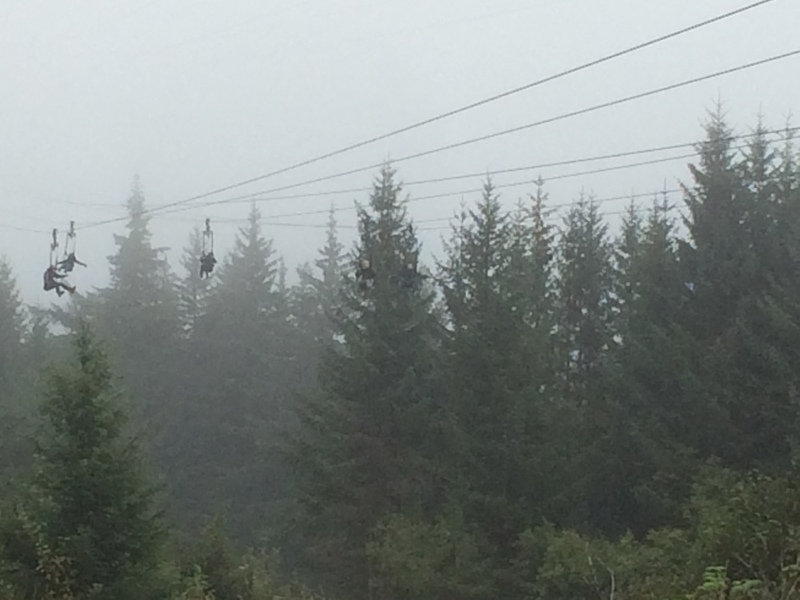 The zipline is over a mile long! Kayaking and hiking are two pursuits that I have done. Next time, whale watching is on my list as Icy Strait Point is one of the best places to see whales on an Alaska itinerary. In fact, some of my fellow cruisers experienced breaching whales on their tour! 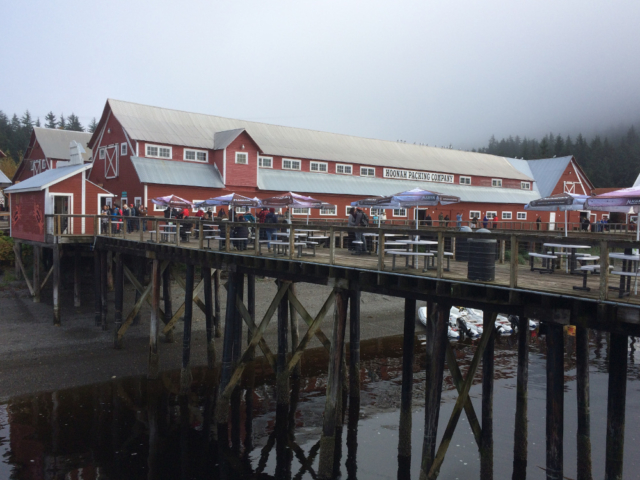 (Juneau is another place that I recommend for whale watching.) 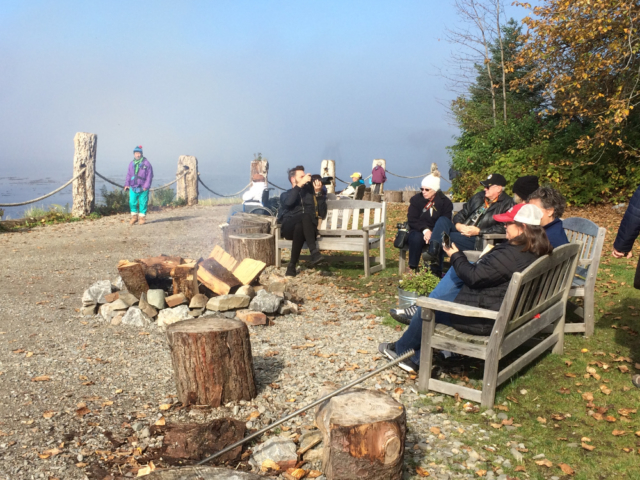 For those interested in low-key activities, the shoreline walk welcomes guests with a cozy fire to sit and warm-up if necessary. 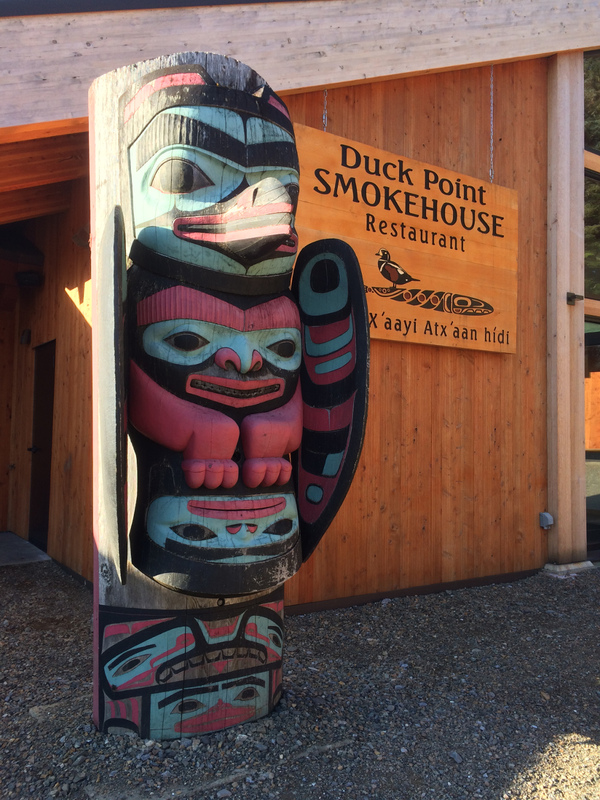 There are several places to eat, a museum at the old cannery facility and locals performing songs and dances. 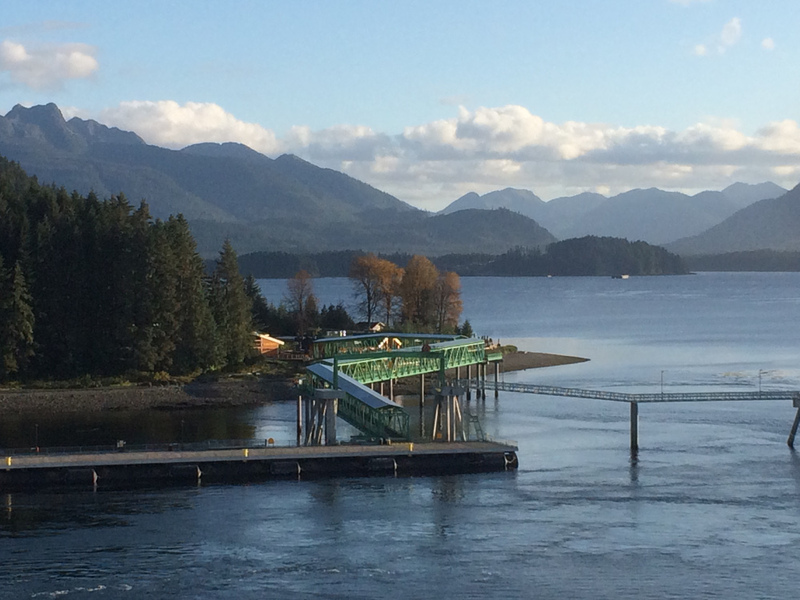 Icy Strait Point is on Chichagof Island, home to the highest concentration of brown bears anywhere in Alaska. 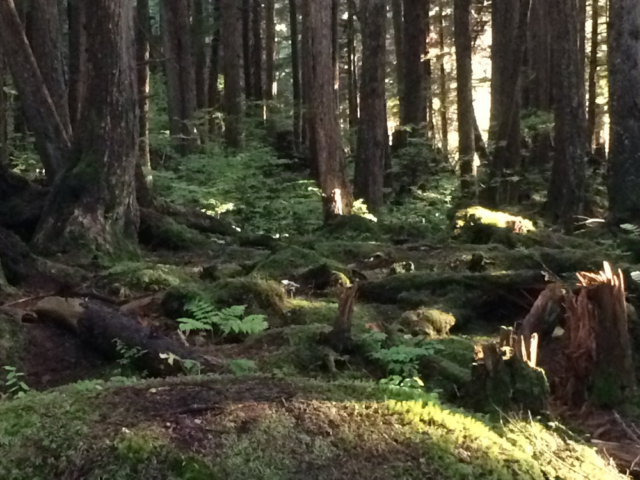 Cruise guests can select a bear viewing tour of the area. 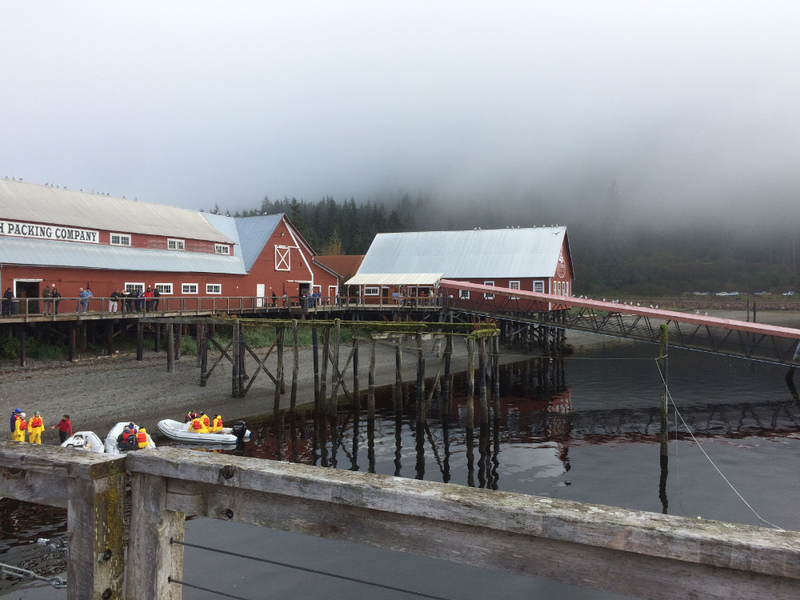 From the adrenaline excitement of the zipline to a quiet and calming walk in the forest, Icy Strait Point is one of my favorite Alaskan ports.